For a northwest Iowa pork producer, an investment in the Pipestone System provided an opportunity for his operation to sustainably grow today, and presents a roadmap for the next generation to get started in livestock production. Mike Ver Steeg is a third generation Iowa farmer, and the second generation to raise crops and pigs on his family’s farm south of Inwood, Iowa. He began farming with his father, Dr. Eugene Ver Steeg, after graduating from Iowa State University in 1994. Dr. Ver Steeg was also a veterinarian who practiced at a clinic in Inwood. Together they raised corn and soybeans and operated a farrow to finish pork operation, farrowing about 900 sows. All the corn they produce is used for feed for pork production and they grind and mix all feed themselves. 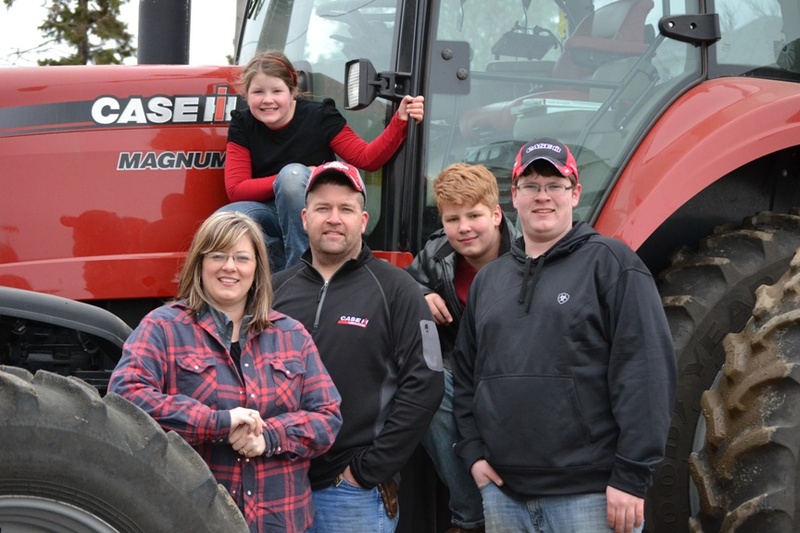 In 2012, Mike made the decision to invest in the Pipestone System by becoming a shareholder in the Jackrabbit sow farm located near Mt Vernon, South Dakota. His decision was influenced by a number of factors, including aging facilities and disease pressures in northwest Iowa. “The pigs weren’t has healthy as I knew they could be and the mortality rates were too high,” he said. The Ver Steeg’s farrowing barns were also aging and they saw the Pipestone System as a way to ensure a steady production of pigs coming from modern facilities. He began receiving pigs from the Jackrabbit sow barn in fall 2013. Mike remodeled his own barns to accommodate more weaned pigs for finishing and is now finishing about 28,000 pigs per year. Dr. Ver Steeg remains involved in the crop farming, but Mike is managing the pork side of the operation. “I now have a consistent supply of healthy pigs that are born and started in modern facilities, and am able to finish more pigs per year,” he said. The investment in the Jackrabbit barn met Mike’s current needs and allowed him to maximize production in his current facilities. He has made a second investment with an eye to the future. In 2014, he become a shareholder in Pipestone System’s Goose Lake sow barn that is currently under construction near Corsica, South Dakota. “I’m the last of this generation of my family that is still farming. I see this investment as a way for the next generation to get started if they decide to enter farming,” he said. Mike’s oldest son and a second cousin have both shown interested in farming and raising pigs. He plans to sell his share of weaned pigs from the Goose Lake initially. If family members decide to invest in new wean to finish barns, the Pipestone System barn will ensure a consistent supply of pigs. He has also started working with Pipestone Veterinary Services for veterinary services and some pharmaceutical products, and with nutritionist Casey Neill for ration and diet planning. Mike and his wife Sarah have three children. Cody is a freshman at Lake Area Technical School in Watertown studying diesel mechanics; Evan is a sophomore at West Lyon High School, and Ella is in fifth grade at West Lyon schools. He is currently a member of the Lyon County Pork Producer board and his church board. He has also been very active in local, state and national levels for Farm Bureau.